We knew the end was coming. It’s been a while now and we’ve reluctantly given in. It is time to move on. Just like summer has finally given way to beautiful, glorious, crisp and radiant fall, it is time to move on from Corvallis, my favorite little (American) city. And while I may still work here, the living part will be sorely missed. I think about all we’re giving up–the ease, comfort and sense of belonging to this place. But we are also gaining wonderful things by leaving. A lovely cottage in the country. A little less worry off our shoulders. A sense of beginning too. This is how I’ve felt about the last wisps of summer that were thrown at our door. The 20 pounds of late season tomatoes given before we’d have no more for many months. The pots of tomato sauce. W’s grandma’s spaghetti sauce. Bruchetta on homemade bread gone wrong but still deliciously perfect. Savory tomato herb crepes. And Indian stew, the recipe gleaned from my favorite restaurant. Because the scurry of using the last of summer’s bounty is fully upon us, and it truly is turning to the loveliest of seasons–crisp and blistery and beautifully gray–I thought I would share a dish we can’t get enough of right now–black beans and lovely salsa. This one is simple and warming, so come in and enjoy after a long day outside. You won’t be sorry you tried the deep complexity of flavors wafting from such a simple pot. 1. Rinse beans and let soak for at least eight hours. 2. Bring water, beans, jalapeño, onions, garlic, vinegar, 1/2 tablespoon salt, and 1/2 teaspoon pepper to a simmer in a medium saucepan. Cook, stirring occasionally, until beans are tender, creamy and falling apart. The onion and chile pepper should be broken down and indistinguishable at this point. Add water as needed throughout the cooking process. We like our beans to be REALLY creamy; this takes between 4-6 hours. Season with salt and pepper. 1. Place diced tomatoes in a mesh sieve over a large bowl. Set aside and drain for 30 minutes. As the tomatoes drain, add the jalapeño, onion, garlic, and cilantro. Shake the sieve to drain off the excess tomato juice; discard juice. 2. Add more jalapeño seeds and ribs to taste. I like mine a touch between mild and medium. 3. 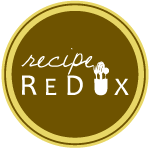 Transfer the drained tomatoes and vegetables to a blender. Blend for a few seconds until it reaches your desired consistency. 4. Transfer back to the mesh sieve and drain mixture again. Now put salsa in a serving dish, add salt and pepper, and lime juice. 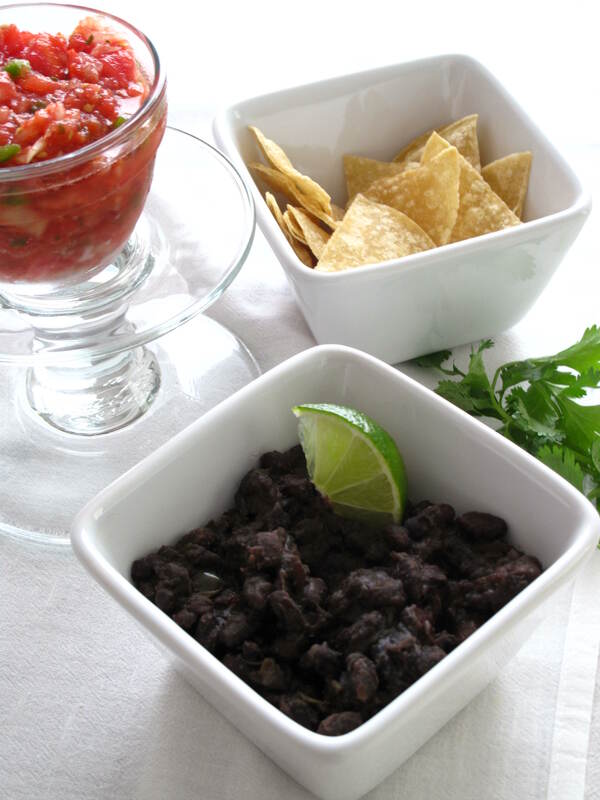 Serve with black beans, tortilla chips, brown rice, more cilantro and lime if desired, and tortillas. 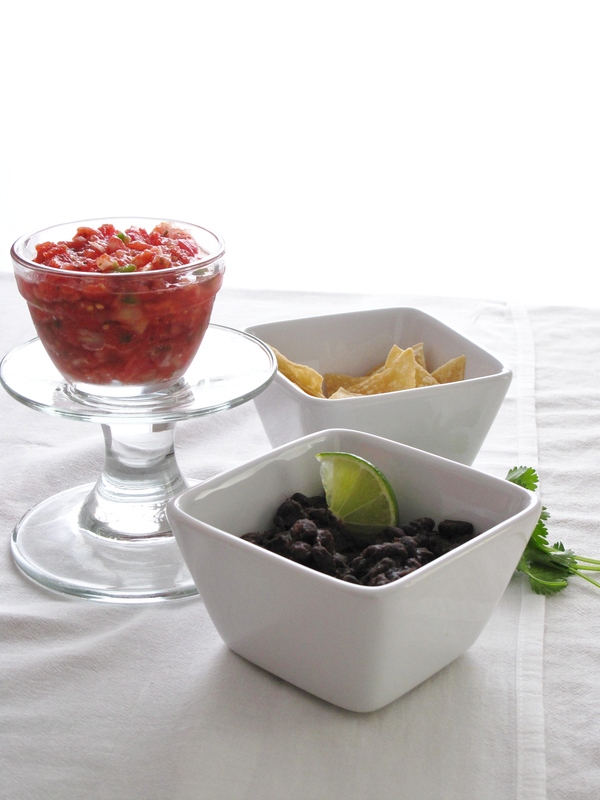 These look great – such a nice, simple idea for one’s black beans.